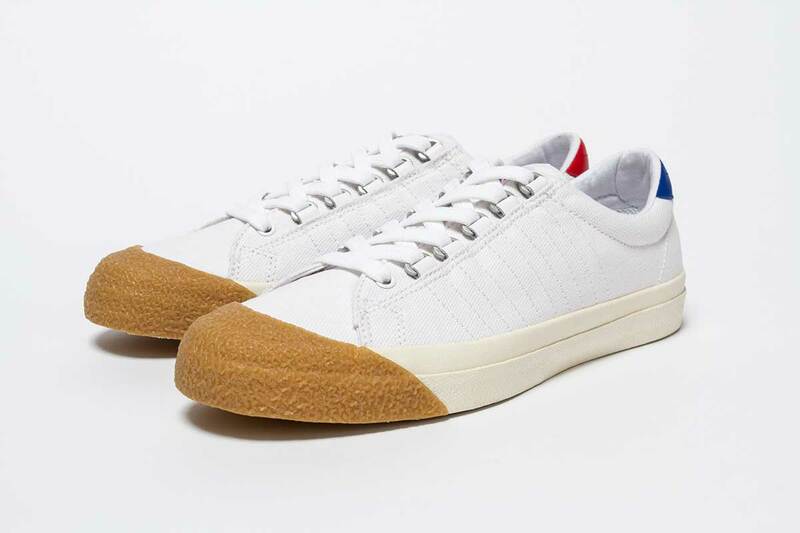 Oi Polloi launches an exclusive update of the Irvine T.
The American Tennis heritage brand K-Swiss and Manchester based menswear store Oi Polloi have announced their exclusive take on the Irvine T. The same model was used as a special edition release with Los Angeles based Undefeated. The 2010 release shot the shoe to fame and five years later it’s back to celebrate the re-introduction of the model. 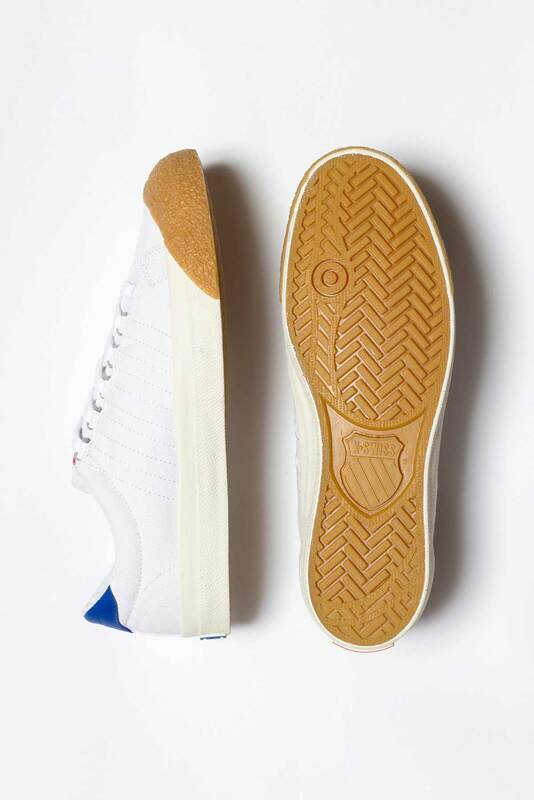 With the K-Swiss bringing back the Irvine T into their inline collection, Oi Polloi have made an exclusive edition of the shoe. 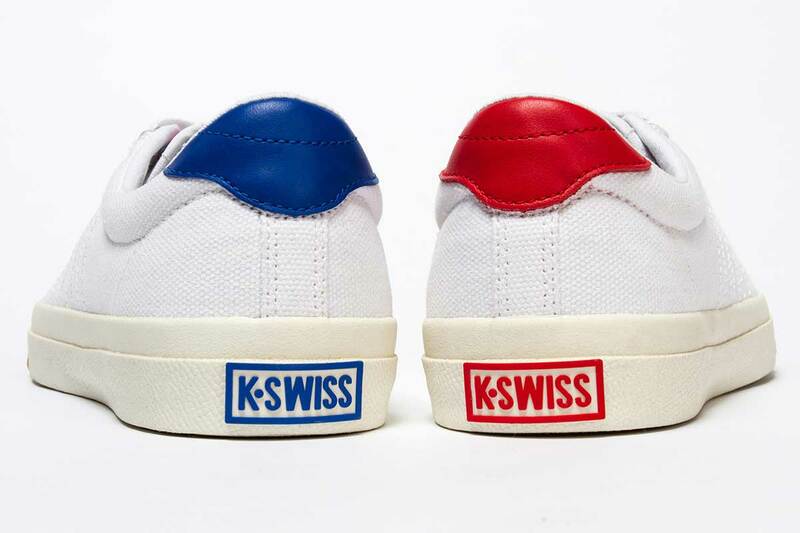 Available exclusively through their store and webshop, they’ve stripped the shoe back to its basics with a clean white canvas upper and sole, with a gum toe-box and K-Swiss’s signature five stripe branding. 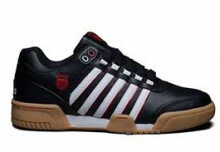 Finished with the options of Blue and Red heel panels it will be available from 19th May in limited numbers.